Here are this week's (7/31-8/6) Back to School deals at Dollar General! 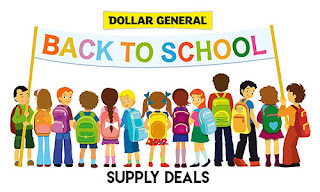 We also have a $5 off $20 digital coupon on Back to School deals. Go here to download!